Call for a FREE Consultation or an Appointment TODAY! Acupuncture can treat a wide range of ailments, such as Acne, Allergies, Arthritis, Asthma, Auto Immune Disorders, Back Pain, Chronic Fatigue Syndrome, Fibromyalgia, Depression, IBS – Irritable Bowel Syndrome, Insomnia, Joint Pain, Low Energy, Migraine Headaches, MS – Multiple Sclerosis, Muscle Pain, Parkinson’s Disease, Stress, and much more. For a full list of conditions I can treat through acupuncture and Chinese medicine, please review the Ailments Helped page of this website. Suffering from a chronic medical problem from which you can’t get relief? If you have tried other methods to treat your medical condition and nothing has worked, you should give Acupuncture and Chinese Medicine a try, it just may provide the relief you desire. I Trained in China and have practiced acupuncture for over two decades and have helped numerous patients overcome persistent medical problems that other approaches failed to alleviate. Through the Chinese discipline of acupuncture, which is used by hundreds of millions of people across the world, I welcome the opportunity to help you obtain the much-needed relief you desperately seek. With two locations: Prairie Village, KS, near Kansas City, and in Humboldt, KS. I serve many patients in Johnson County, including Overland Park, and from elsewhere in the Sunflower State. I also serve patients from southern Kansas, Chanute area, at my clinic in Humboldt, Kansas. I even have patients come from other U.S. states in desperate search of relief. Call me at (913) 649-0700 or (620) 473-2200 to schedule a session at one of my clinics. Thank you for your interest in Acupuncture and Traditional Chinese Medicine. I look forward to helping you finally feel better, become healthier, and live a more satisfying life. 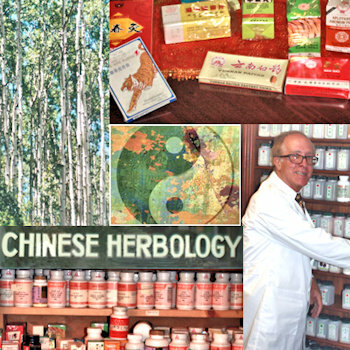 Please feel free to review information about my Acupuncture Services and Chinese Herbology. Also be sure to read some of my Testimonials, to see how I have helped my customers overcome chronic ailments that traditional Western medicine could not cure.